Datatec is set to reshape its Weston-Comstor subsidiary through a combination of cost-reduction measures and business efficiency measures, according to the company’s latest communiqué to shareholders. In early October, the publicly-listed South African technology company revealed its preliminary financial result for the six months ending August. The figures, which included Westcon’s North America and Latin America businesses, which were sold to Synnex in September, revealed falling revenues within its Westcon-Comstor distribution business in Asia Pacific, the Middle East and Africa, and Europe. Specifically, Weston-Comstor’s year-on-year revenue in the Asia Pacific region for the six-month period fell by US$17 million to US$241 million. However, other regions saw a surge in revenue, including North America and Latin America. Globally, Westcon-Comstor’s revenues were up by around US$23 million, to US$2.28 billion. Overall, Datatec’s consolidated revenue for H1 FY18 is expected to be US$2.99 billion, down from US$3.04 billion for the same period the year prior, with a gross margin of 13.3 per cent. Datatec told its shareholders at the time that the year-over-year decline in earnings was primarily as a result of a worse performance in the Group’s Westcon subsidiary. 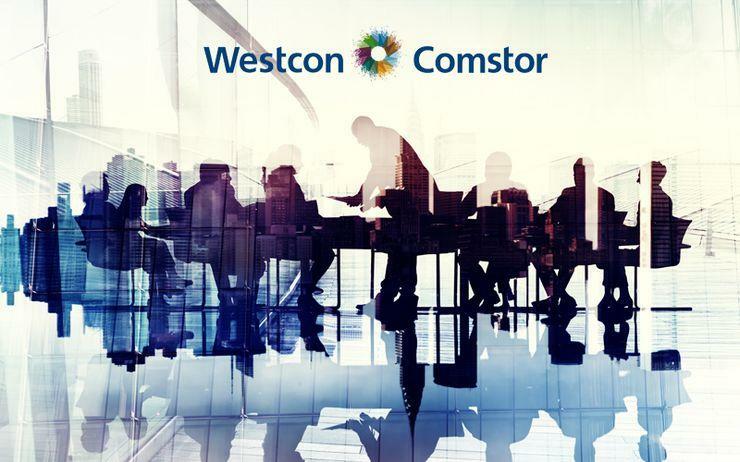 “Westcon-Comstor continued to experience disruption to the business as a result of the final SAP implementation in Europe, Middle East and Africa (“EMEA”). Further details are given in the Westcon-Comstor section below,” the company said. Now, Datatec has flagged plans to “streamline” Westcon International. “Following the disposal of Westcon Americas (the largest profit contributor of Westcon-Comstor) the remaining business, Westcon International, will be directly managed by the Datatec management team,” the company told investors. "Datatec is continuing to focus on improving the financial performance of Westcon International and streamlining its operations. “This business, which has faced difficult trading for the last few years, will be reshaped through a combination of cost-reduction measures and business efficiency initiatives,” it said. Westcon International currently retains around US$63 million of the annual central costs of Westcon-Comstor and has a transitional services agreement with Synnex, which will run until August 2018. “Subsequently, Westcon International will be able to implement fully its plans to reduce the central costs and right-size the business,” Datatec said. It remains to be seen what Datatec's plans may mean to Westcon-Comstor's operations in the local, Australia and New Zealand market. Synnex Corporation completed plans to become a minority shareholder in the Asia Pacific business of Westcon-Comstor, finalising a 10 per cent stake for US$30 million in September, in addition to its acquisition of the distributor’s Americas divisions. According to Datatec, restructuring expenses of US$4.3 million were incurred during the six month period, mainly in North America, Asia-Pacific and Global Support, related to business process outsourcing (BPO) transformation. In addition US$1.4 million of expenditure was incurred in relation to the recently completed transaction with Synnex. Datatec’s IT services business, Logicalis, meanwhile, accounted for 23 per cent of the group’s combined revenues during the half, and 37 per cent of the group’s continuing revenues. Combined revenues for the company were US$693.7 million, including US$0.3 million of revenue from acquisitions made during the period. Revenues from continuing operations were US$677.6 million. However, revenues from product were down by 16.5 per cent, largely thanks to decreases in Cisco, HPE and IBM. Datatec said that revenue increases in Latin America were offset by decreases in Europe, North America and Asia-Pacific.